Valvular heart disease is a disease that affects at least one or more of the valves within the heart. The heart maintains four types of valves: the pulmonary and tricuspid valves on the left and the aortic and mitral valves on the right. The valves are located at the opening of each heart chamber and allows one directional movement of blood. When the valves malfunction it may cause the blood to flow incorrectly resulting in leakage from the valve(s) and poor circulation. Valvular disease is distinguished as two specific types of conditions, they are: valvular stenosis and valvular insufficiency. Valvular stenosis is caused by narrowing of the valve which causes the heart to beat more forcibly eventually degenerating the organ over time. Valvular insufficiency occurs when the valve is unable to close properly causing the back flow of blood. It is also known as leaky valve, regurgitation or incompetence. 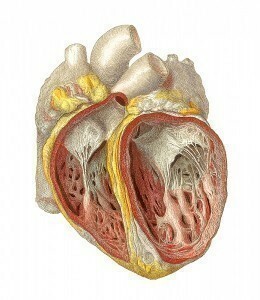 As with valvular stenosis it will also lead to deterioration of the heart muscle from over-work. Valvular disease may materialize because of a congenital defect which occurs during the gestational period or it may develop over the course of a lifetime. The immediate cause of the disease is unknown in some manifestations of the disease. 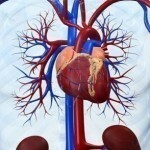 There are two major diseases that may induce valvular dysfunction these are: rheumatic heart disease or endocarditis. 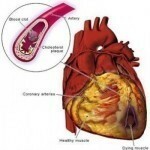 Other diseases may also prompt valvular disease including: syphilis and other sexually transmitted infections, hypertension, heart attack and cardipmyopathy among others. The symptoms may be similar to some other conditions however it is still important especially when over a certain age to be examined by a doctor to eliminate the possibility of this potentially serious condition. Chest discomfort that may feel like pressure or pain in the chest area that is provoked by cold air is often experience d by most individuals with the condition. Shortness of breath or difficulty breathing is a symptom that occurs regularly. It may appear after carrying out any physical activity and may be worsened by exercise. It may also be more obvious when lying flat on a surface for example when lying on a bed. Sufferers often find that they are unable to lie down without a few pillows to elevate the head. Weakness and dizziness may be present that may possibly interfere with normal activities. Unexplained and sudden weight gain. Gaining up to three pounds daily could be a signal of the disease. Oedema or fluid retention is also a common symptom that will be present in the legs and abdomen. Treatment for the disease will generally involve: the administering of specific medications to decrease the severity of the disease; antibiotic treatments may also be used to lower the probability of developing any infections and surgery may be undertaken to repair or replace the valve if at all possible.